Open to all interested parties, Les Enluminures will host a special exhibition in its gallery in New York. 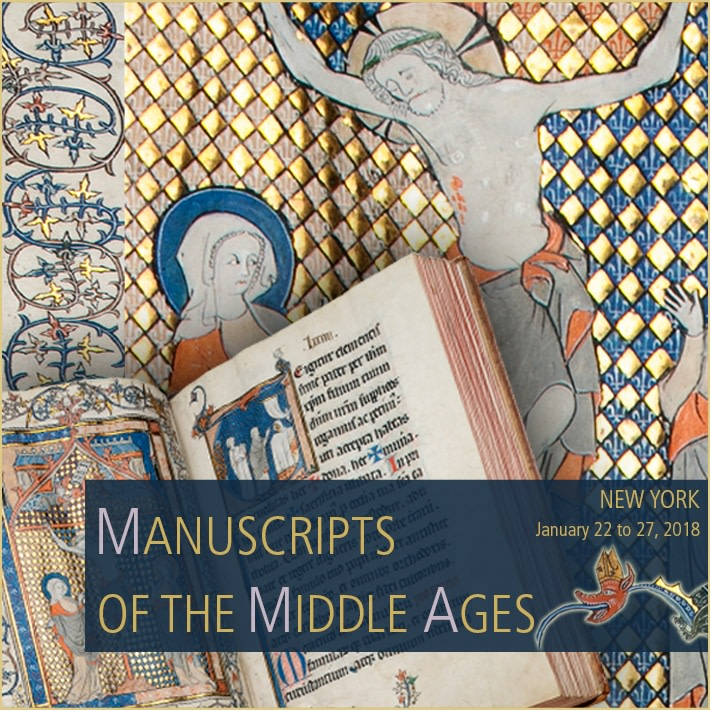 Included will be representative examples of all types of manuscripts from the Middle Ages: Books of Hours, Portable Bibles, Romances and Histories, Church Books for the Liturgy, and Documents. This is a good opportunity to learn just how diverse medieval manuscripts were during the medieval era and to experience their aesthetic beauty and historical interest.